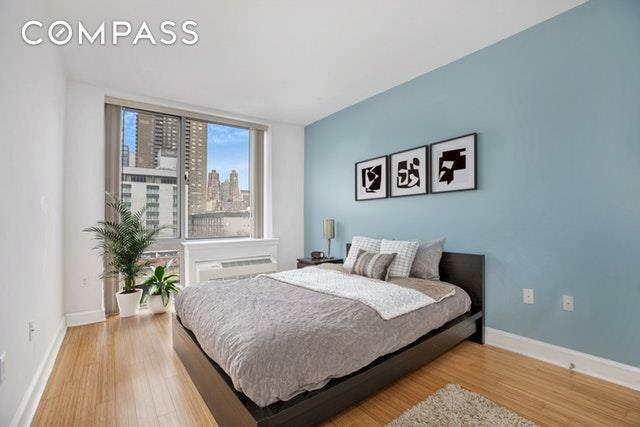 This beautifully maintained contemporary one-bedroom, one-bathroom home is the perfect combination of style, amenities and location in a stunning Hell's Kitchen condominium. Floor-to-ceiling windows deliver golden light and lovely city views in this 615-square-foot home's spacious living area. Topped by tall ceilings and paved in bamboo hardwood, you'll have plenty of space for generous sitting and dining areas while the adjacent open kitchen delivers sleek modernism with fine Italian cabinetry and marble countertops surrounding top-of-line appliances by Miele, Bosch and LG. The king-size bedroom boasts a large walk-in closet. The large tub/shower and roomy Wenge vanity with gorgeous stone top create a calming ambiance in the spacious bathroom. A roomy hall closet with stacked Bosch washer-dryer and through-the-window air conditioning provide effortless comfort and convenience in this move-in-ready Hell's Kitchen home.The 505 is a modern condominium where residents enjoy attentive full-time concierge service, live-in superintendent, package storage, bike room, a state-of-the-art fitness center topped in atrium windows, and Wi-Fi in all common areas. Enjoy abundant outdoor lounge space in the Zen landscaped courtyard or up on the two rooftop gardens featuring iconic skyline views. 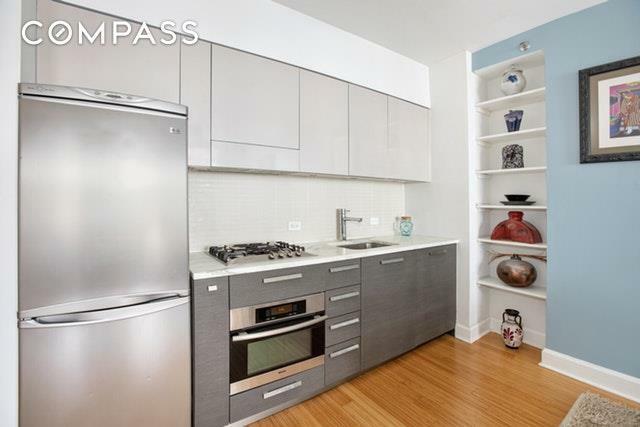 This pet-friendly enclave permits unlimited subletting with board approval and features ultra-low common charges and 421a tax abatement until next year.Nestled in vibrant Hell's Kitchen/Midtown West, this home is surrounded by fantastic venues for dining, nightlife, entertainment, shopping and open space. The Theater District unfolds right outside your door, amazing Hudson River Park offers miles of waterfront outdoor space and recreation, and dozens of Michelin-starred restaurants fill the nearby blocks. 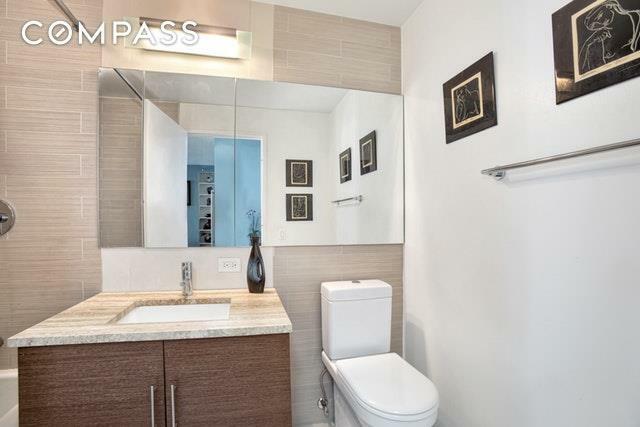 Make a bee line straight down to the phenomenal Hudson Yards and Manhattan West developments, and enjoy fantastic access to transportation with A/C/E, N/R/W and 1 trains all nearby.